Strength of the peace time garrison of Krepost Sveaborg was 7400 men. 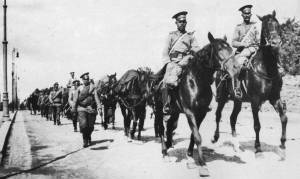 After the mobilization in the summer 1914, it would had to been 12,500 men but garrisons troops 22.army were soon sent to fight and substitutive troops came for example from fortresses Kronshtadt and Viipuri and other parts of Russia. The garrisons strength anyhow grew gradually and it was strongest in August 1917 with more than 15,000 men in Helsinki area. 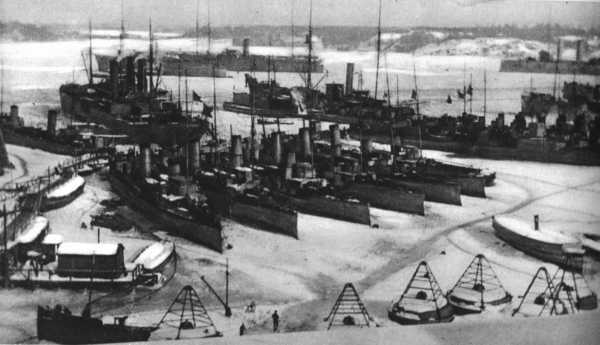 Russian warships overwinter in Helsinki during the first world war. The Russian first revolution broke out 8. - 12.3.1917. Some officers were killed in violences in Helsinki and some officers replaced when army democratized. The discipline of troops decreased. However fear of Germans offensive in Finland increased and fortification work still continued. After the second revolution 6. - 7.11.1917 the demobilization of the Russian forces started. Finland gave declaration of independence 6.12.1917 and soon after that the Civil War broke out in Finland January 1918. Germans had landed on Estonia coast in October 1917. The sea and land fortress of Tallinn surrendered 27.2.1918. Russia made the separate peace with the Central powers 3.3.1918. German troops landed at Hanko in April 1918 and made a contract with Russian forces which still were in Finland. Russians promised to be neutral and leave the country as soon as possible. Despite of that some Russian solders took part in civil war with Red Guard. 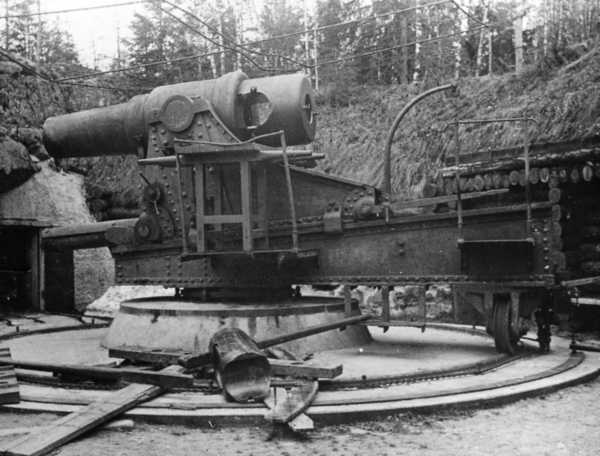 Russians promised also make all guns unusable and leave all forts undamaged to Germans. 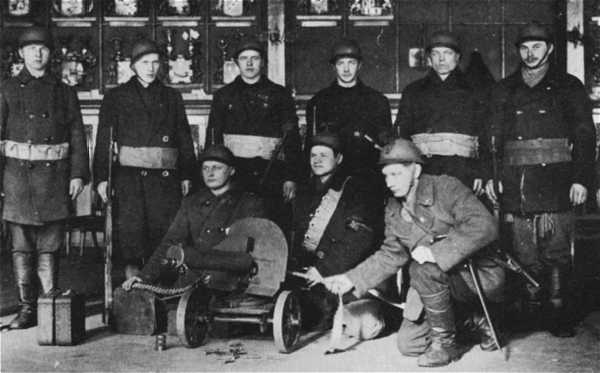 The workers militia, the Red Guard controlled Helsinki after 26.1.1918. The Russian Red army had intended to transfer whole fortress to the Red Guard but the deed left unfinished when Germans attacked to Helsinki. Red Guard solders had poor equipment and even worse training. When German troops arrived at the front of western fortifications 11.4.1918, every Red Guard fronts in Finland had collapsed and White Army advanced from north. In Helsinki there were just 1500 men in the trenches. If there was any artillery in order, the Red Guard had no resources to use it. The German Baltic division strength was over 9000 men. It landed in Hanko 3.5.1918. The Reds withdraw to east. 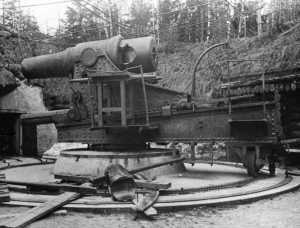 Germans attacked to Helsinki in three directions: from west through Leppävaara and Mäkkylä fortifications, from north through fortress area of Malmi and from sea to Katajanokka naval base. Fights broke out 11.4.1918 at the base number XXIX in Leppävaara. Fights did not last long. The Red Guard withdraw soon to the next defense line and after that to old field fortification line, which was made 1914 in Ilmala area. At this place Germans assault stopped approximately for one day. At the afternoon 12.4. Reds withdraw again and the fighting front moved to the streets of Helsinki city. 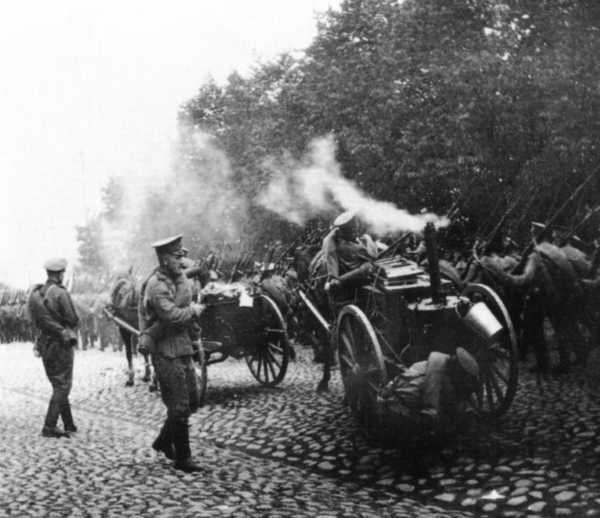 Helsinki was surrendered 13.4.1918. 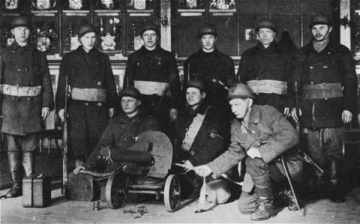 German troops lost 24 men and the Finnish White Army which supported Germans lost 17 men in the occupation of the town. 300 Reds were killed and 6200 men and women were taken as prisoners.